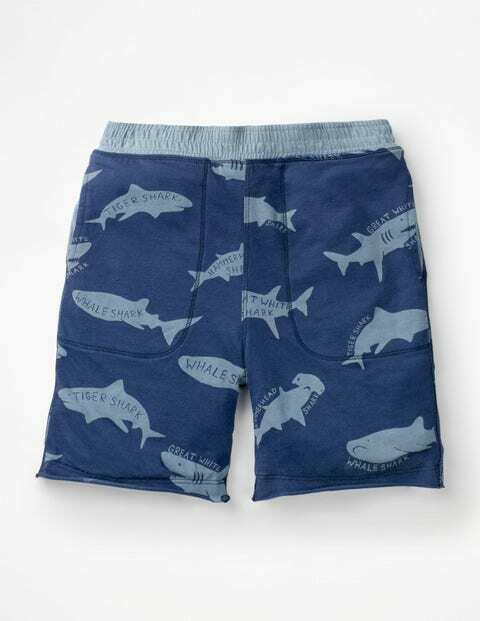 When exploring rock pools and going crabbing are higher up the list than getting dressed, these supersoft reversible jersey shorts are the answer. The elasticated waist means added chuck-on-ability, while the handy pockets are made for keen shell collectors. Choose stripes in the morning and animal print in the afternoon – brilliant for quick changes.